Technology is changing healthcare delivery systems globally and Qure.ai, a Mumbai-based start-up, is at the forefront of this movement in India. The company has developed artificial intelligence (AI) assisted tailored algorithms to help diagnose diseases and recommend personalised treatment plans, based on readings and interpretations of X-rays and CT scan images. Qure.ai's software assists radiologists and doctors to diagnose diseases more accurately and with more ease, and improve their productivity. 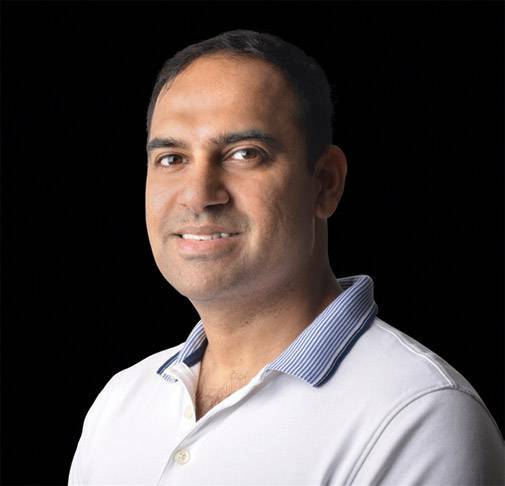 Prashant Warier, co-founder and CEO of the company, is an IIT-Delhi B.Tech graduate, with an MS degree and a PhD in operation research from Georgia Institute of Technology. He was part of the team building SAP's data science practice, before he moved to India to become an entrepreneur. He started a data analytics firm Imagna Analytics, which was acquired in 2015 by Fractal Analytics. With them, Warier thought of tapping the possibilities of artificial intelligence in healthcare, which led to Pooja Rao, co-founder and R&D head of Qure.ai, coming on board. Rao, who has done her MBBS from Pune and has a PhD in neuroscience from Max Plank Institute, Germany, was then working in the Netherlands as a data and bioinformatics scientist with firms in the field such as GoDataDriven and Genomescan. When Warier shared his idea of starting an India-based AI-driven healthcare firm, Rao was ready to come back to India. 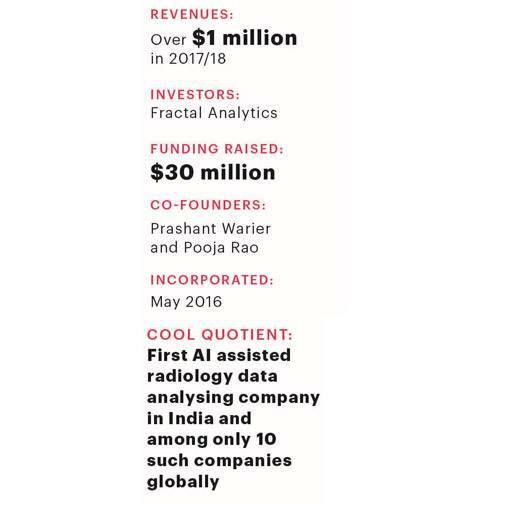 Fractal Analytics committed to invest $30 million in the company and Qure.ai took off in May 2016. By July of the next year, the company had implemented the first solution deployment on a commercial scale. "We have deployed our products in 15-20 hospitals and diagnostics centres globally in India, the US, the Philippines, Canada and Singapore. Soon, we will implement our solution at 50 centres in India for screening tuberculosis," says Warier. Qure.ai's algorithms have been deployed by tele-radiology companies such as TRS and Telerad Tech, and are marketed in North America through partners including EnvoyAI, Calgary Scientific, and others. It has also partnered with key tele-radiology equipment and software manufacturers. Currently, the company does not have any competitors in India, though globally it competes with the likes of Zebra Medical Vision and Medymatch of Israel and Delft Imaging Systems of the Netherlands. It is estimated that there are only 10 such companies across the world. 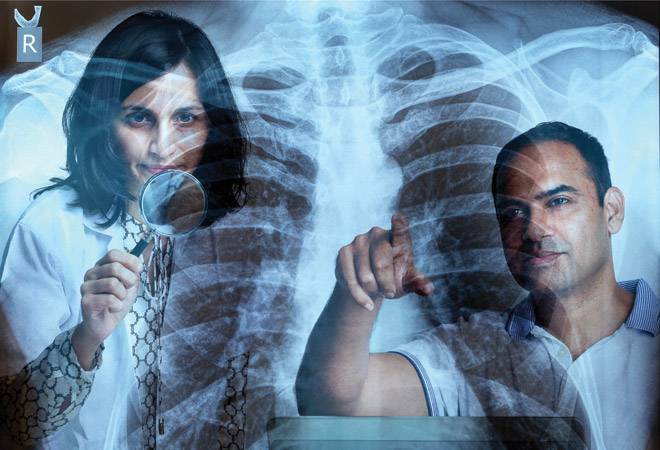 The global diagnostics imaging market is expected to reach $36.43 billion by 2021 (about Rs 2.7 lakh crore at Rs 74.15 to a dollar) from $26.53 billion in 2016 (about Rs 1.9 lakh crore) at a compounded annual growth rate (CAGR) of 6.6 per cent, says a report by Research and Markets. "Our goal is to make radiology affordable and accessible. So, we have intentionally kept our pricing model as pay-per-use, which will help even small clinics use our algorithms," say the founders. Currently, Qure.ai prices its services at just above $1 per scan. Rao notes that one of the challenges with deep learning algorithms is that they do not generalise well, though over 15 different abnormalities can be detected from chest X-Rays and head CT scans. Qure.ai's algorithms can detect abnormalities, localise and quantify them, as the datasets are based on millions of radiology scans, to come out with accurate and fully automated reports. Its reports have three-dimensional information and that makes it easy for doctors to see the abnormalities. Over the next two years, the duo plans to make Qure.ai the most widely used solution in radiology, making radiologists more productive and accurate, thus helping patients get more accurate disease predictions.